Several years ago, while living in Los Angeles, I began to realize that the American experiment had failed and tried to puzzle out why. I wondered: If the Founders had put an express right to secede in the Constitution, would the federal government have respected States’ rights more? If Lincoln had not been elected or if he had let the South go, would the federal government have been checked giving rise to two truly federalist (rather than nationalist) governments, or to a voluntarily reunited country whose government respected the voluntary nature of the Union? If Wilson had not been elected or if we had entered the First World War on the side of Germany (a distinct possibility) would Classical Liberalism have been saved? If we had never gotten ourselves involved in any foreign entanglements as President Washington had advised, would we be today a free society shining a beacon of hope to the rest of the world? But with every question I asked myself, the obvious answer kept rearing its ugly head: no matter what the Founders could have done, no matter what change could have been made to the Constitution, no matter what politician was or wasn’t elected, the experiment of liberty-preserved-by-government would have failed. I concluded that if there is a seat of power, eventually it will be filled and expanded by those who desire power and its rewards, not by those who wish to limit power and promote liberty. I distinctly recall having this epiphany while vacuuming my bedroom–it was like when the Twin Towers fell or, as they say, when JFK was shot–I remember the exact instant, it was so momentous to me. My despair was total but at the same time, liberating. I knew it was utterly hopeless, that man was destined for servitude, but I didn’t have to worry about it anymore because there was nothing that could be done. I actually thought I had come to the end of my quest for truth the way the guy in the commercial a few years ago, bleary-eyed and unshaven, after obviously spending days surfing the web, got a message on his screen: “You have come to the end of the Internet.” That was me. I had come to the end of the metaphorical Internet, or so I thought. In fact, it was the very Internet that saved me for the exact fact that it doesn’t end. It led me to a truth beyond my truth: anarcho-capitalism. While searching for an old book my uncle recommended, America’s Great Depression, by Murray Rothbard, I stumbled upon the website of Lew Rockwell. 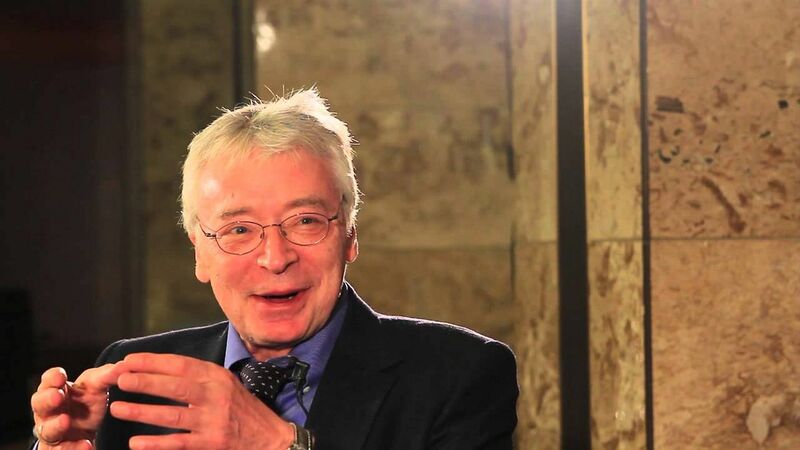 I noticed one of his recent podcasts was titled: “Democracy: The God That Failed, an interview with Hans-Hermann Hoppe.” I thought, c’mon, don’t tell me someone else thought of this–it’s gotta be some communist thing or some other totalitarian horror show, but I clicked on it anyway. I could not believe what I was hearing. I simply could not believe it. Not only was this guy saying EXACTLY what I had thought but there was so much more to it. What’s more, he wasn’t desperate, he was hopeful–he had cracked the code! Or at least he deciphered the code that Murry Rothbard had cracked. A just, self-limiting government was impossible, that’s true, but it was also unnecessary! Hoppe, like Rothbard, claims (and does a good job demonstrating) that capitalist society, that is a society based on the division of labor complete with a price mechanism, is self-ordering. That’s it. No government necessary. This was the gateway book I hadn’t known I was looking for! Hoppe lays out the argument for anarcho-capitalism in a series of essays which so captivated me I not only read all of the many footnotes but also read most of the books cited in the footnotes! Democracy: The God That Failed lays out the irrefutable theoretical foundation for the moral and practical illegitimacy of a territorial monopoly on the use of force (i.e., government). For the nitty gritty of every question a Statist will ask you (What about roads? What about national defense? What about zoning? On and on ad infinitum), however, you will have to read a few more books (check out www.mises.org). I must warn the casual reader, however, I bought this book for quite possibly every single person I know and many of them found it a bit too dense, so I do think a grounding in or fascination with economics will probably make it more penetrable. For those wanting something slightly less math-y, try “the Libertarian Manifesto” For a New Liberty, by the great Murray Rothbard.